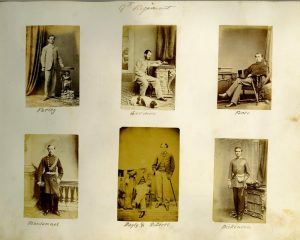 THERE is much to stimulate the interest of collectors and seekers of once off and distinctive Christmas presents at Fonsie Mealy’s rare book sale at the Gresham Hotel in Dublin on December 13. 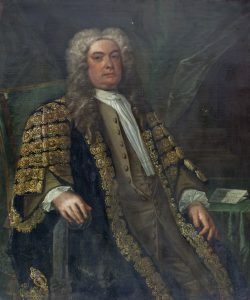 There are rare Irish books, fine duplicates, early printings, 17th century travel, Americana, science and religion, the Edith Somerville and Coghill family archives and a private collection of modern Irish literature, are to be sold. 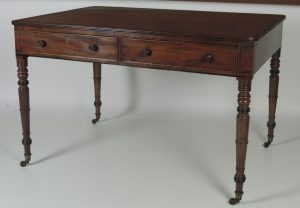 Among the highlights are a signed volume from the library of Dean Swift, a rare volume printed by Benjamin Franklin, Philadelphia 1744, the first printing of Shakespeare’s works outside of London and Lt. Cresswell’s “North West Passage” atlas folio from 1854 with eight plates. 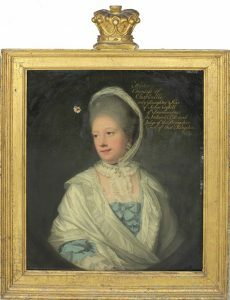 Edith Somerville of Castletownsend – author with her cousin Violet Martin of the Irish RM series – studied painting London and in Dusseldorf and Paris with another cousin and future brother in law Egerton Coghill. 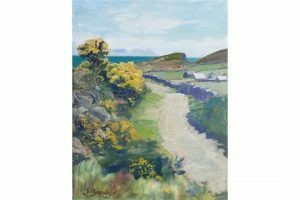 Lot 765 is an outstanding portrait of her then seven year old nephew and godson Patrick Coghill and the sale includes a number of drawings, watercolours and sketches by her with west Cork scenes and including some of her original drawings for the Irish RM. There is a collection of typescripts and manuscripts by Brendan Behan, photographs by Sir Jocelyn Coghill, the first secretary of the Dublin Photographic Society and a selection of Cuala Press broadsides. The original volume from Dean Swift’s library, signed “Jon Swift” has an estimate of 10,000–15,000. 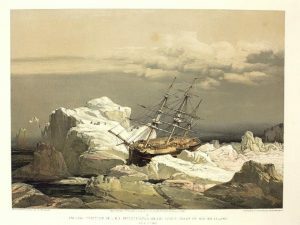 A spectacular early coloured view of the North West Passage with a series of eight sketches in colour and a coloured map of the route by Lt. Cresswell is estimated at 15,000-20,000. UPDATE: The volume from Dean Swift’s library sold for 9,000 at hammer, the Benjamin Franklin imprint made 12,000 at hammer, the first printing of Shakespeare’s works outside of London failed to sell and the North West Passage folio sold for 24,000. 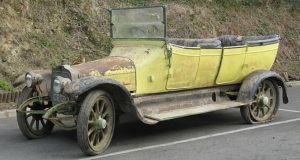 The sale brought in 410,000 euro on the hammer. 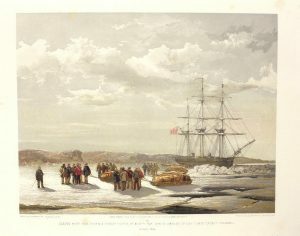 One of a series of eight sketches in colour of the North West Passage by Lt. S.G. Cresswell published in 1854 UPDATE: THIS SOLD FOR 24,000 AT HAMMER. THE United States was sorry when Garrison Keillor stepped down last week as host of A Prairie Home Companion after 42 years. Some lucky buyer might find consolation at Fonsie Mealy’s sale of the Dr. Philip Murray collection of Modern First Editions at the Gresham Hotel in Dublin onJuly 12. 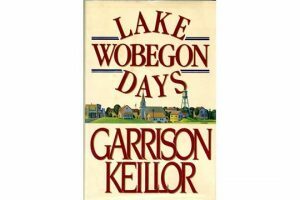 Lot 32 is comprised of three signed first editions by Garrison Keillor, Lake Wobegon Days (Faber 1986); Leaving Home (Faber 1987) and Lake Wobegon Days, First US edition (Viking 1985). The first is inscribed: to Dr. Murray, with good wishes, from the American heartland. The books are estimated at 150-200.